Maybe it's my age, but I have tons of friends going thru the grieving process right now. I am determined to get my cards in the mail to a few sweet, deserving friends. I really should mail a card to everyone I know. 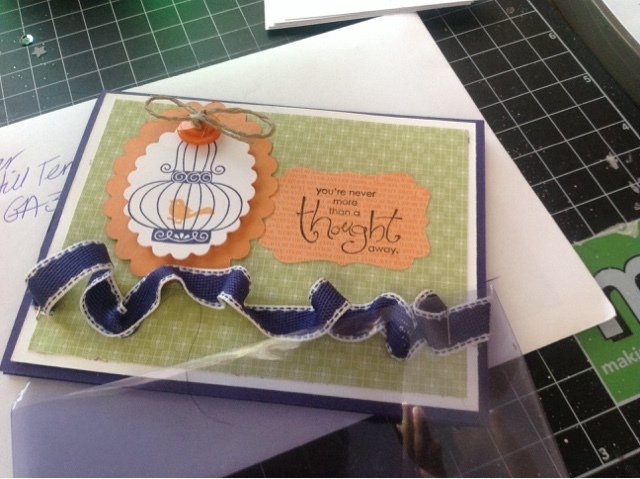 Here's a cute card I made and mailed.